Your sign shop is more efficient and so are you when it’s organized with these wall mount storage racks for vinyl or pre-mask rolls. 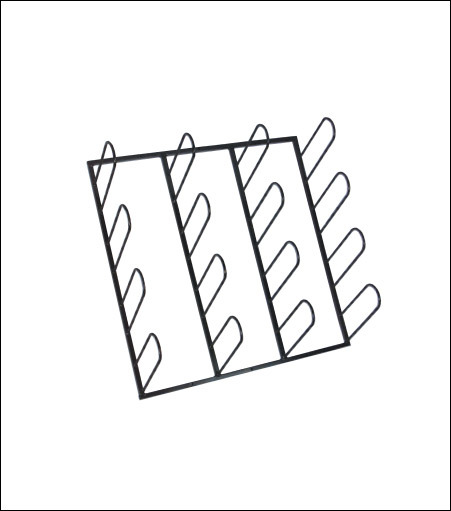 This wall mounted vinyl organizing rack is made of steel square frame construction. The unit holds up to 16 rolls of material. Recommended sizes are 15", 20" and maybe a few 24". If your shop needs a rack for 24" & 30" only, we suggest Sign-Mart's Heavy Duty Wall Rack System.